What I am doing now: I am Minister of the Word for the Clarence Uniting Church on the Eastern Shore of the Derwent River in Hobart. I am also Chairperson of the Presbytery of Tasmania, a Godly Player and a keen promoter of music from across salvation history being used in our worship. My greatest achievement is two adult children who are working out, in their own ways their responses to the Christian faith. My mum still asks “You are an intelligent woman, Ann, what’s this God stuff all about?” We have great conversations. She is not a believer. Someone who inspires me is my high school music teacher who taught “you have to learn the rules (of harmony) before you break them and then know why you are breaking them”. This advice, now across all aspects of my life, has stood me in good stead so far. The last thing I watched on TV was the movie The Red Violin and an Amanda Palmer TED talk and Rob Lowe on Colbert. The future of the Uniting Church is to become a church that realises the importance of ongoing discipleship learning and a willingness to discover what needs to be learned so that we can discern who to be and what to do today in order to be the church for God’s tomorrow. Knowing who we are as the people of God as the UCA helps us navigate relationships and through all relationships we offer the missional heart of God. Who we are and how we relate to one another is described in many ways in the different paragraphs of the Basis of Union. I believe what we say about ourselves is important as we navigate our life as the UCA in our local communities or with partners across the world wide communion of churches and faiths. Also I can still feel the zeal of my conversion (later in life) and fuelled by my continuing conversion (which still catches me by surprise) means that for me, sharing how we put God’s love into action, through our discipleship practices that can help build God’s commonwealth of love, grace, and compassion, excites and animates my life. In this VIDEO, Ann shares what she thinks will make the Growing in Faith Circle hum. 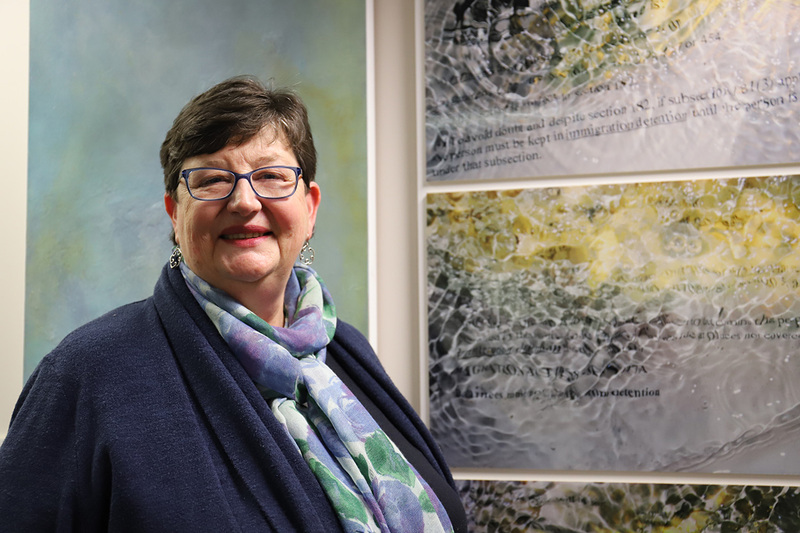 Ann is a Minister in the UCA in the Synod of Victoria/Tasmania where she is in placement with the Clarence Uniting Church, Hobart. She is the current Chairperson of the Presbytery of Tasmania. Ann has served the Church in many roles including as a Member of the Doctrine Working Group since 2010. Ann has also been a Lecturer in Double Bass (Part Time) at Sydney Conservatorium of Music, and has contributed articles to a number of publications and conference papers.